What to expect at a Book Folding workshop? You will learn how to fold an unloved book into a festive decoration. 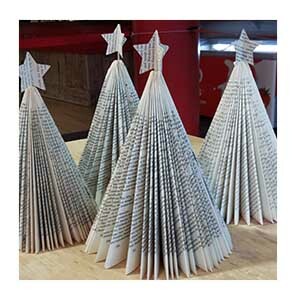 We will use old un-loved books and transform them by folding them into festive 3D sculptures to take home with you.